Before I get to the main topic of today, I first wanted to let you all enjoy some Steel Reserve with me. 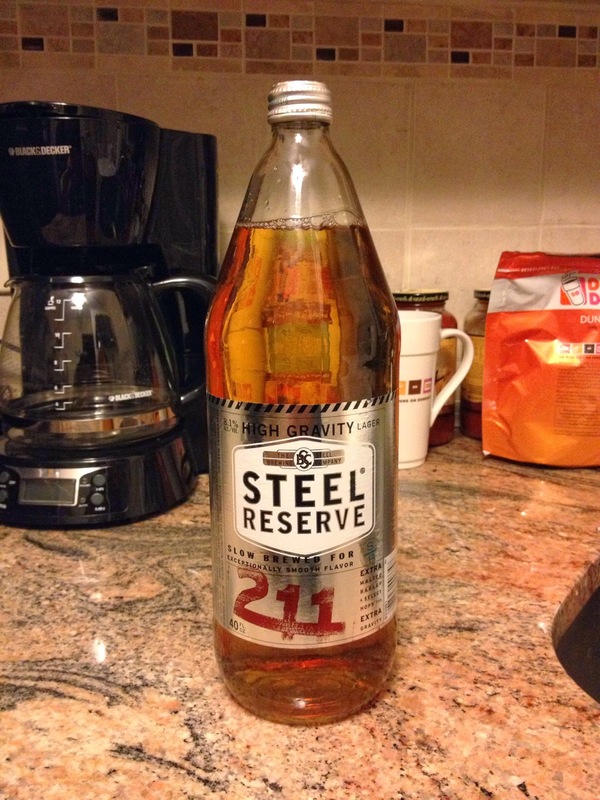 This past weekend I once again expanded the game by enjoying a nice 40oz of Steel Reserve. Let me tell you that drinking that Steel Reserve took me back to my college days. After the first sip, the only thing missing was a big bowl of cheese dip and some nacho chips to enjoy. Luckily for me I already had a stomach full of deer meat and Budweiser in me at the time, so I think it was an even trade. 8.1% Alcohol and High Gravity! While I was at the liquor store debating on which fine beverage to purchase, it came down to the Steel Reserve and Colt 45. Well it was a tough choice, and after my eyes were glued at the refrigerator for almost a half hour and not being able to make a decision, I ended up buying both of them. So now I have a 40oz of Colt 45 on deck for this weekend. Well earlier today I posted a question to the twitter world and did not receive a single response. That question was, what type of music do you like to listen to while enjoying some bum wine? In my opinion there are a few different genres that can fill that void. 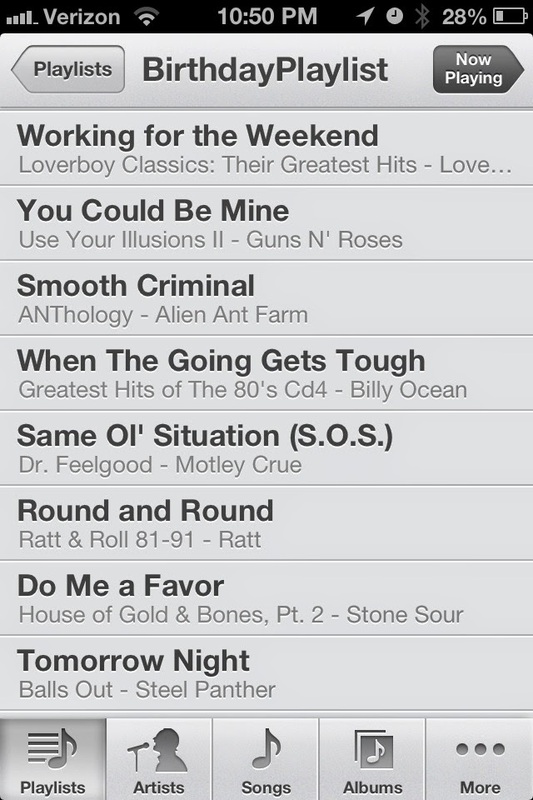 You really can't go wrong with anything from the 1980's, and that includes rock, pop, and rap. I've danced many times after drinking bum wine to some Robert Palmer, so I know how it's done. Some hard rock like Guns N' Roses or Steel Panther are also guaranteed to be party starters as well. The main key in my mind is to know your audience. When I make a party playlist I try to put songs on there that everyone will enjoy. For my birthday last year I created a playlist that was 7 hours long and I took the time to place each song in a certain order to make sure that there was a good flow of songs for all the guests. While everyone might not like rock, rap, pop, or even country, you have to try to please the crowd. The key in my mind is to not have the same genre of songs in the same order. Try to mix things up and change the type of songs that are after one another so the crowd will keep an interest in your playlist. If you have the time to place songs in the order you want and not just run the playlist on random, it makes a big difference. 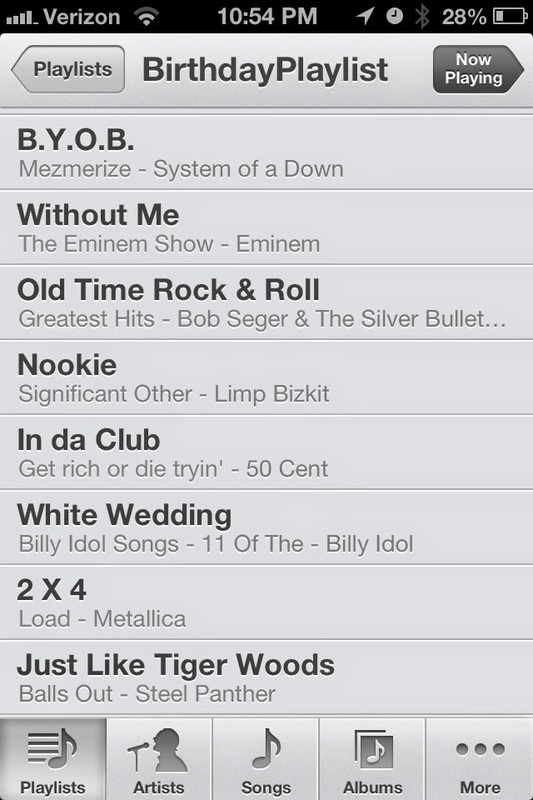 I made another bachelor party mix that may or may not have had too many wrestling theme songs on it that got a few groans from certain people since they were coming up one after another. Oh well. Too bad. If you put the perfect playlist together you can get to enjoy moments like this that are simply irrestiable! Feel free to post any of your favorite drinking songs that you might have here in the comments. Keep spreading the good word of the bum wine!